It was November of 2013. My brother Matt and I were starting our first restaurant, The Mulefoot Gastropub. Matt had spent the morning calling local farms to obtain Michigan-raised, non-GMO, grass-fed meat products. The farms regretfully explained that the logistics, USDA butchering, and large volumes were going to make a direct purchase very difficult. And many of them didn't have grass fed or non-GMO options to being with. "Chef, can we do better?" His answer: "I know we can." From that moment on, we were committed. We started laying the plans for the butcher shop that would be known as Farm Field Table. We would offer consumers and restaurants everywhere what we wanted ourselves: local, healthy, quality meat fit for the country’s best restaurants. And at a reasonable price, too. We opened a farm, raising Mulefoot heritage hogs to get our hands dirty and supply our farm-to-table restaurant, The Mulefoot Gastropub. Farm Field Table opened in December 2016 as a licensed USDA butcher shop in Ferndale, MI. Our client list includes many of the top restaurants across the state, from Detroit to Traverse City. We pride ourselves on sourcing only the finest local products including Michigan Wagyu beef, dry-aged steaks, heritage pork, free-range chickens, lamb, goat, duck, and rabbit. Our supply is based the finest cuts currently in season, rather than what’s merely in demand. We believe there’s nothing more important than what you put in your body. Early on, we almost abandoned the idea for Farm Field Table because we couldn’t find farmers willing to grow products with non-GMO feed or the grass-pasture/grain-finished blend that makes a healthy product and chef-approved flavor. Months of research paid off when we found a handful of small farms willing to change their feed providers to non-GMO. Today, we have more than fifty small Michigan farms whose craftsmen raise some of the best beef and pork in the country. We’re so confident in the quality of their work that we offer a Farm Field Table Satisfaction Guarantee on every purchase. We heard over and over again that our customers wanted an easy way to try Farm Field Table without driving to Ferndale, MI. So we created a simple website that makes ordering a snap. Simply go to www.FarmFieldTable.com and order what you want and we will ship it directly to your door. Farmers and butchers both know that the best flavors come from cuts the average restaurant-goer has never heard of. That’s why we pride ourselves in being a whole animal butchery. Using the whole animal radically improves sustainability by reducing the carbon footprint, while giving us a better understanding of each farmer and their processes. We even know what each animal eats and where they graze. Now, the cuts butchers kept for themselves are available to you. 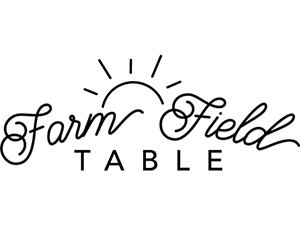 We created Farm Field Table to stand up to the corporate grocery chains and meat markets. Unlike the big brands that lack quality and over-charge, we deliver high quality products at a fair price. So to you, our customers, thank you. Thank you for letting us do what we love. We’ll keep at it, and hope you do the same.